Mold and mildew are the sworn enemies of outdoor fabric. These microorganisms thrive on heat and humidity -- and when they get a foothold in your fabric, they can be extremely destructive. Mildew or mold can quickly leave even brand-new cushions and upholstery smelly, slimy and stained. They can also cause structural damage to the fibers and shorten the overall life of your fabric. Once you see that first little black spot, you know you’re in for a battle filled with bleaching, scrubbing and spraying. 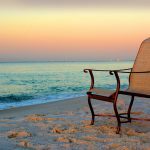 However, outdoor furniture shouldn’t be such a source of stress. The answer is to stop the growth of mold, mildew and other microbes before it even starts by choosing antimicrobial fabric infused with Microban​. Microban​​ technology works by slowing and inhibiting the growth of mildew and mold on and in fabric by attacking microbes as soon as they come in contact with the surface of the fabric. Microban​ has been safety tested and is registered with the EPA. It has a long history of safe use. While Microban​ is perfectly safe for humans and pets, it’s a valiant and fearsome soldier in the war against mold, mildew and other microorganisms. Microban​ protection penetrates the walls of microorganism cells as soon as they touch the fabric and disrupts their functions so that they cannot grow and reproduce. Because it’s always fighting against the growth of microbes, this protection makes it much easier to clean your fabric, and helps it stay clean for longer in-between wipe downs. It’s important to remember that you should still regularly clean Microban​ fabric and make sure it is allowed to air dry with plenty of air circulation. The protection won’t wash away, and regular maintenance will help Microban​ textiles perform better for a longer period of time. The best way to make sure the fabric you’re buying is protected by Microban​ is to ask for it by name. Because Microban​ is the leading built-in antimicrobial product treatment, it is used and trusted by some of the world’s best and biggest brands. This kind of protection is worth bragging about, so if a product is infused with Microban​, the manufacturer will usually make a point of it. Antibacterial fabric that has been treated with Microban​ has a huge leg up on untreated fabric of the same type. 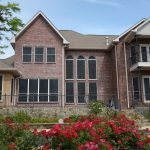 Not only is it easier to maintain, but you are much less likely to have to replace your fabric after a particularly warm and wet summer because it’s been disfigured by mold spots. Microban also enhances the inherent durability of your fabric. Mold and mildew literally eat away at fabric, which can cause weak spots, splitting and tearing. By keeping these hungry little monsters at bay, Microban​ can extend the lifetime of your fabric and outdoor furniture. Bottom line: antimicrobial textiles can save you money in the long run. 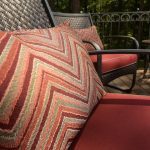 Phifer offers antibacterial textiles treated with Microban​ so you can buy with confidence, knowing that your outdoor furniture will be protected from the ravages of mildew and mold. All of our vinyl-coated polyester mesh fabrics are infused with Microban​ protection. Phifertex® is ideal for DIY applications requiring structural stability and strength such as sling chair covers which will be required to support weight or sturdy sports and tote bags. 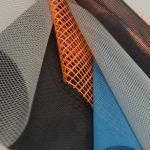 This hardwearing mesh fabric is easy to work with; it can be sewn with a standard home sewing machine. It doesn’t fray when cut, so it even lends itself to no-sew projects like outdoor placemats and table runners. The Microban-infused Phifertex​ and Murotex® fabric lines are also backed by a three-year warranty. 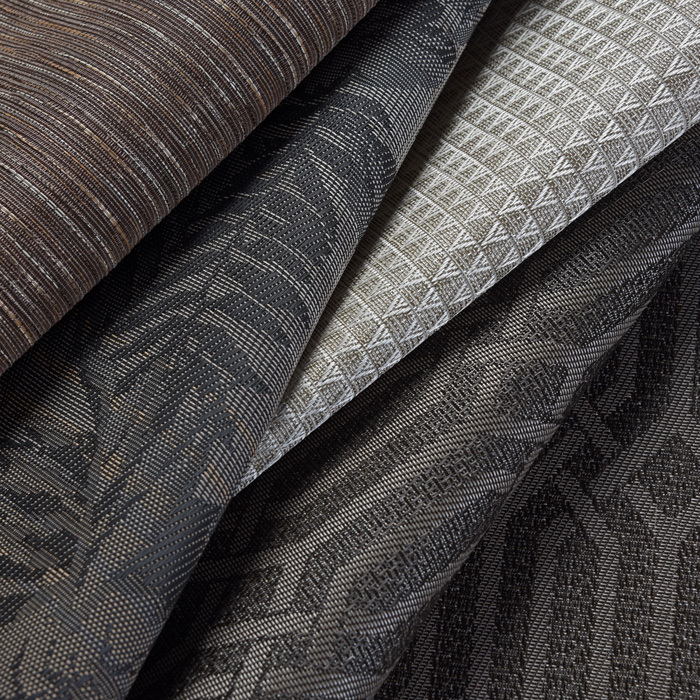 If you’re in the market for intricate design work, head for our Phifertex​ Jacquard fabrics. These sophisticated designs can be created in thousands of combinations of pattern and colors, from simple stripes and geometrics to breathtaking florals and tapestries. Planning an especially demanding DIY project? The design and engineering behind Phifertex Plus​ means that it can withstand heavy use, even in applications where extra strength and toughness are required. 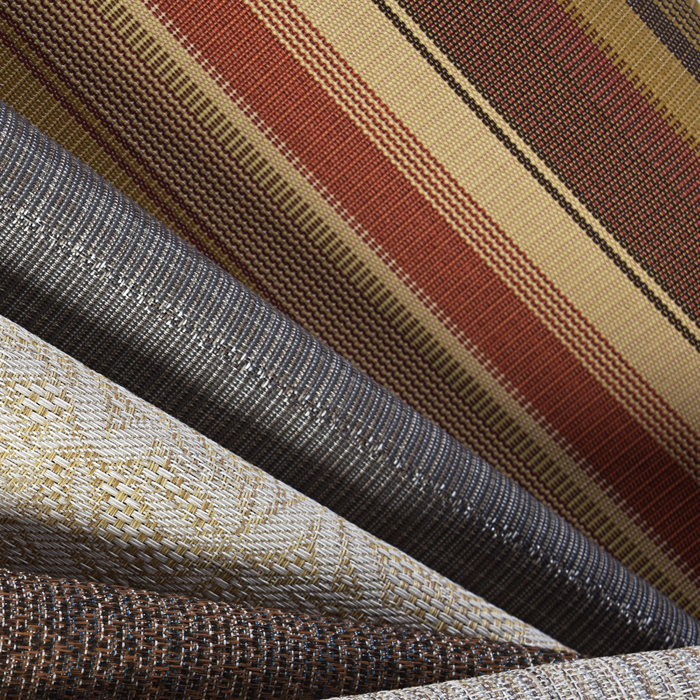 With Phifertex Plus​, there’s no reason to compromise on style vs strength: these are beautiful fabrics with an elegant range of colors, solids and stripes. For projects where a little extra softness would go along way, Phifertex​ PVC/Olefin Blend fabrics are the perfect solution. 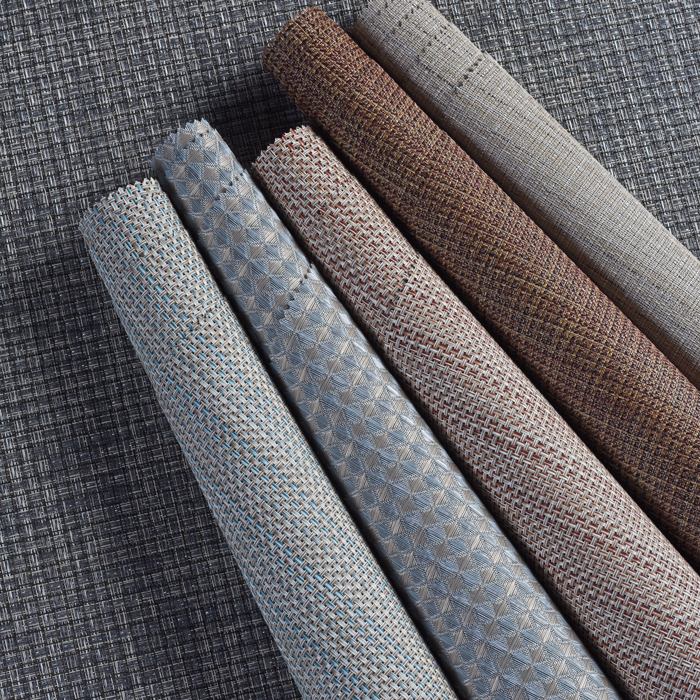 These textiles combine the exceptional strength of vinyl-coated polyester yarns and the touchability of olefin yarns. 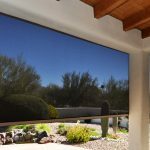 The resulting fabric is equally at home indoors and out. 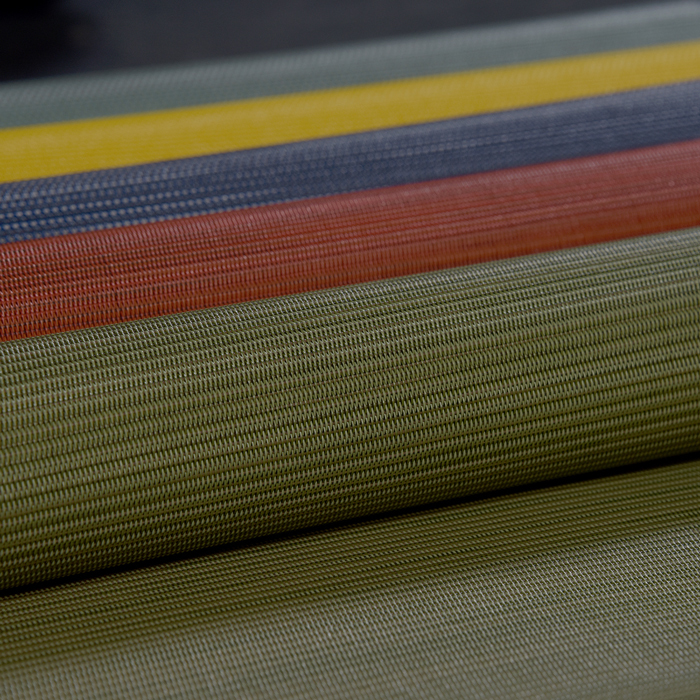 Phifertex​ PVC /Olefin Blend fabric is available in a beautiful selection of solids, patterns and weaves, and it’s a lovely choice when you’d like to coordinate and match multiple projects such as sling chairs, cushions and upholstery. Create outdoor furniture with all the beauty of the natural world using the dobby weaves of our Phifertex​ Wicker Weave fabrics. These textures look like they came directly from nature, with a wide range of weaves mimicking rattan, wicker and wood, but they have all the low-maintenance / high performance features of Phifertex​ mesh. 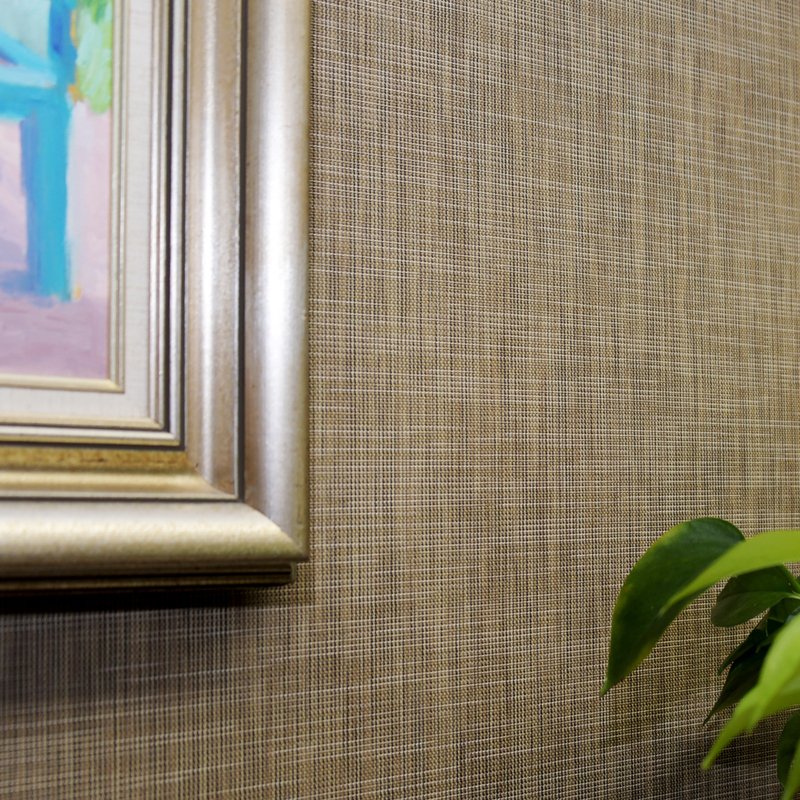 Our custom-produced premium commercial wall covering fabric, Murotex, is also a smart choice for office furnishings such as upholstery and acoustical panels. Flame retardant and precision-engineered to meet most safety codes and specifications for commercial office buildings, Murotex is available in almost any combination of color and weave. If you’re in the planning stages of a DIY outdoor fabric project, the Phifer Outdoor Fabric Visualizer is an exciting way to figure out which colors, textures and patterns will play well together. Mix and match your favorites and preview the finished result using our sample images to help you pick the perfect combination. Need more information about Phifer’s Microban-infused fabric? Get in touch with us! We can answer all your questions and offer pertinent advice on choosing the right fabric for your DIY project. If you want a hand sourcing your favorite Phifer products, we can also introduce you to retailers near your home or online who carry everything you need.